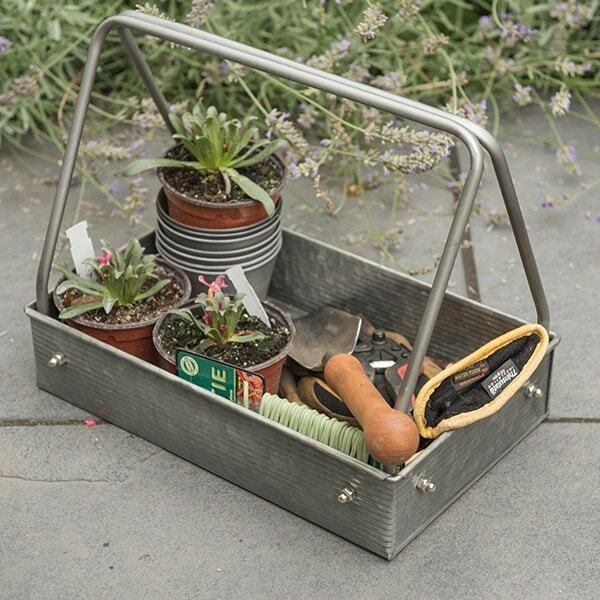 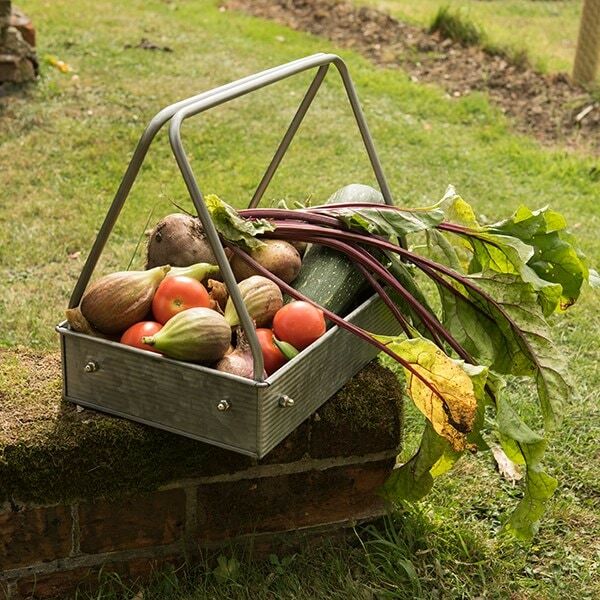 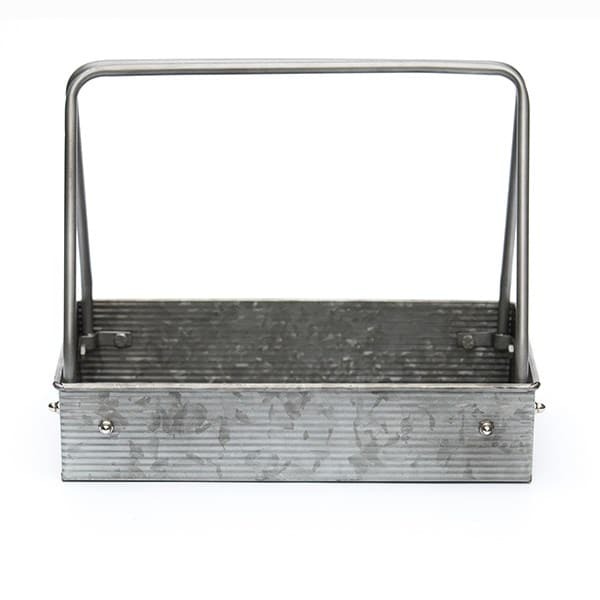 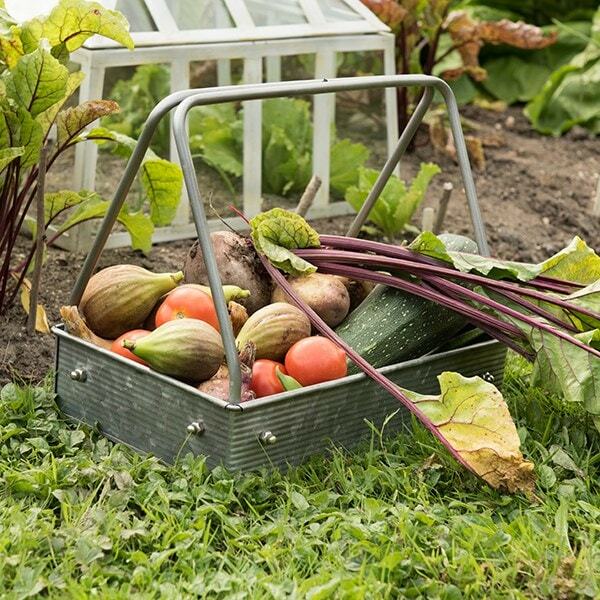 This lightweight ribbed metal caddy makes a handy garden companion, offering an easy way to store and carry essential tools and supplies. 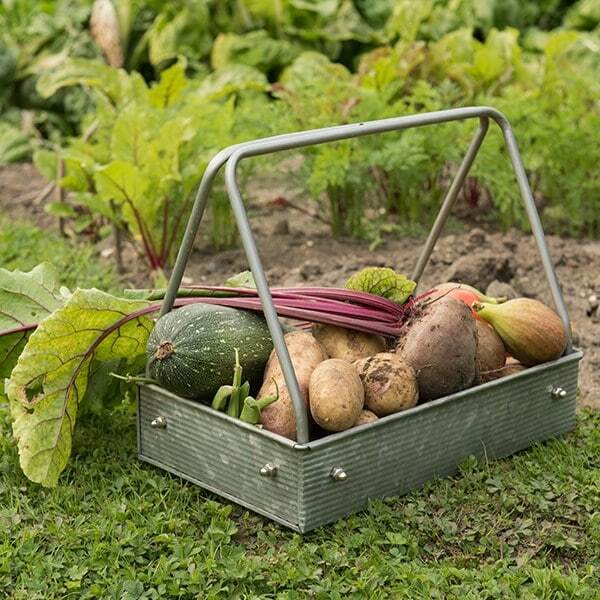 With two strong handles and a generous depth, it also makes an attractive and practical tray to display and transport potted plants, and a useful trug come harvest time. 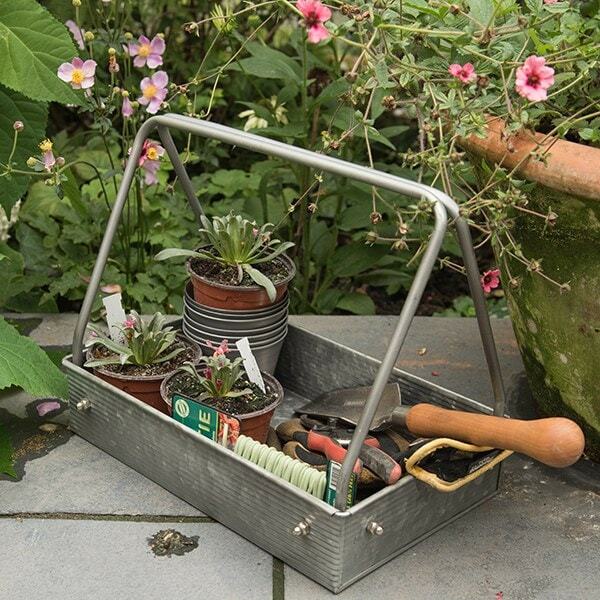 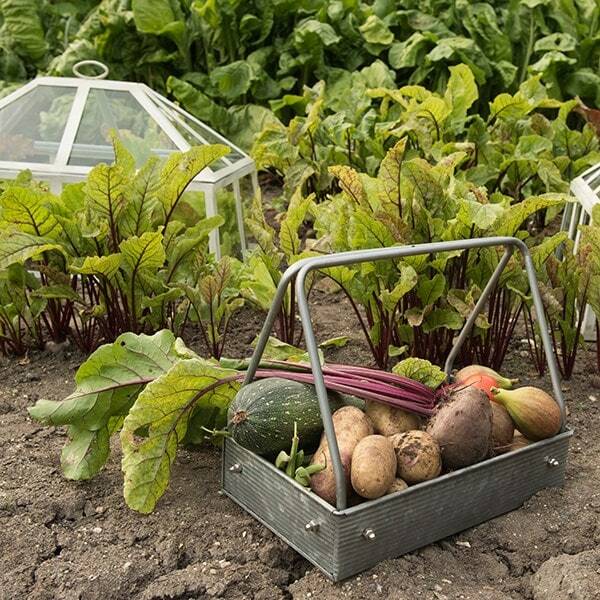 The rust-resistant caddy is made from powder coated Ø 10mm steel rod and tough galvanised sheet steel.